People talk of the pressure of expectations on Sachin Tendulkar whenever he steps out to bat in Indian colours. But spare a thought for A R Rahman too. The Mozart of Madras is in no less unenviable position. Every time a film’s audio for which he has scored music is out, the whole world sits up to listen. And for Sivaji, the pressure is three-fold, as he has to satisfy his own fans, that of Rajinikanth and Shankar too. In such a situation, when you have constituencies to live up to, the music inevitably is populist. In Sivaji, Rahman’s music works at two levels — as he shows glimpses of his own splendid arrangement-orchestration skills. The second is in smart packaging in an effort to live up to the myriad demands of diverse sections. The seven tracks in the album don’t fit in a particular genre. And that is to be expected. Some of them appeal instantaneously. And some, like many Rahman numbers, take time to settle down. Mass elements are inevitably there. It is to Rahman’s credit (and genius) that he has managed to incorporate melody within the ambit of rhythm-based numbers. A Rajini introduction song is a non-negotiable instrument of sorts. It has to have SPB belting it out with his unmistakable gusto. It has to have some pulsating beats. It must make you snap the fingers and tap the foot. This song makes you do all that and plus some more. SPB is amazing with his breath-controlled rendering. This man never ceases to amaze us. He might be over 60. But who would say that after listening to this number. The interludes and the rhythms give an extra pep to the proceedings. Raihanah (Rahman’s sister) and Benny also chip in with their best. Muthukumar’s lyrics set out in typical fashion. The song works in many ways as it has a variegated pattern to it. 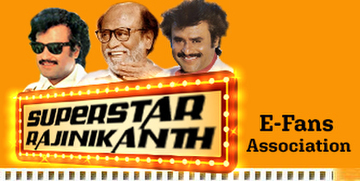 As the initial words suggest, the song talks of style, which is the essence of Rajini. But Rahman, as he is wont to, has worked the tune in a slightly recondite way, in that it moves around an attractively bewildering manner. You have Blaaze letting out his typical staccato rap bits while Suresh Peters bungs in his anglicized rendering. And suddenly, almost catching you unawares, you have Tanvi chipping in with a beautiful morsel in traditional Tamil. Though the song is multi-dimensional, it works, especially with its surprise swerves and Rahman’s mastery over arrangements. Style is in Rajini and Rahman too. Vaaji Vaaji: Hariharan, Madhushree & Chorus. Perhaps this will be the anthem of the State for some time to come. Musically, the song may have nothing new. But Rahman’s genius lies in packaging. Building layer by layer, he lets the song rise up like a beautifully created skyscraper that is high on both aesthetics and utility. Rahman has made Hariharan croon in a un-Hariharan-like manner. Perhaps that maybe the trick that makes the song work and makes Vairamuthu’s lyrics stand out in beautiful relief. Madhushree is adequate without being anything extraordinary. The tempo and the beats make this a good mass song. This is straight away Rahman turf. The man knows which song to pick and sing. His nasal twang may not appeal the first time. But they just take control of you over a period of time. Athiradee does. The lyrics are unabashedly Vaali as he plays to the gallery big time. But his smart mind chisels out interesting lines. Vaali deserves special plaudits for his ability to think in sync with the modern generation. The rollicking beats and the guitar ensemble give a good edifice for the song as Rahman gives it all he has. As a singer, Rahman has also improvised, and innovated, with his voice. The effect is ethereal. The song takes time to take effect on you, but once it does it doesn’t vanish. That’s Rahman effect for you. A high-octane song. When it comes to Tamil words, Udit Narayanan’s tongue becomes a knife of sorts as they (words) are chopped mercilessly. But here you will almost forget that failing as the song and its inherent melody fill you in a cool embrace. Chinmayee is Rahman’s big weapon. He uses her for songs that deserve something special. Right from Kannathil Muthamittal we have been seeing that. Here too the young girl sings with a rare elan which comes from the combination of talent and intelligence. Chimayee’s speciality is that she is no one-type singer. She can deliver according to the needs. The Rahman interlude (in voice) adds a special mystique appeal to the number. A honey-dipped flower. That is this song for you. Probably the theme number. Or a kind of leitmotif in the movie. The song has its limitations as it is perhaps situational. The lyrics too are puerile as the words are forced and stretch for effect. The rap bit is on expected lines. Naresh Iyer dulcet voice manages to leave a mark even in this small piece. This seems to be a modulated version of the Sahana song. But what a beauty it is. Rahman’s mastery is all pervading. He has fused a variety of ideas into this one number and his unquestionable brilliance with soft instruments show up elegantly. The way he has got Gomathi Sree slip in that Thirupavai bit underscores his virtuosity. And she also rises to the occasion quite brilliantly. But the song-stealer is Vijay Yesudas. The young man shows that he is well and truly on the way to filling the perch that once belonged to his illustrious dad. Vijay is very soothing and pleasing in this number. When he and a tiny flute join forces, you could almost feel heaven A fitting finale to a rocking album. To be sure, there will be different opinions on the songs. There will be carping critics who will pronounce that the album doesn’t measure to usual Rahman standards. But you have to take into consideration the situation that Rahman was working under. All things considered, you can unequivocally say that Rahman has delivered. Sivaji songs will be heard for a long, long time.